While doing some research into the pork food scare in Ireland (a country which coincidently is mostly located on an Ireland, sorry an island, isn't that neat? ), in a flurry of keystrokes I unwittingly typed "prok" instead of "prok" instead of "pork" into Wikipedia. Forgive me, I mistyped it in the previous sentence too. I'd be a great comedian if I could form and deliver cohesive jokes. Upon entering this incorrect information and hitting Return, I was presented not with a page discussing a healthier alternative to beef and other four letter meats (the singular version of which also being a culinary four letter word), but rather an information page on a specific region of Nepal. Prok is a Village Development Committee in Gorkha District in the Gandaki Zone of northern-central Nepal. At the time of the 1991 Nepal census it had a population of 739 and had 219 houses in the village. "Nepal Census 2001". Nepal’s Village Development Committees. Digital Himalaya. Retrieved on 2008-08-31. 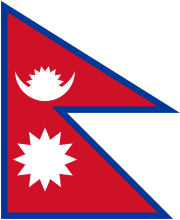 Living in Singapore for so long I always wanted to fly a few short hours to Nepal and just explore; I had more than one conversation with my mum about going there and to Kashmir if ever the fighting there were to calm down at some point in the latter. And as for referencing pork and Prok in a post which could easily have been explained only in one line instead of six paragraphs, on my blog which is supposed to be about software and the intertubes? I say: you're welcome. Thank you, and goodnight. Newer post ← Oh no, it’s an Adelaide rambling post!